Paul Kim, is a teacher at Colorado Academy and Co-Director of the Redi Lab, and is best known for using the design thinking process to teach History. He is our design thinking guest blogger. Paul is an innovator in the education space, who is not afraid to change things up and find new ways to connect with students. 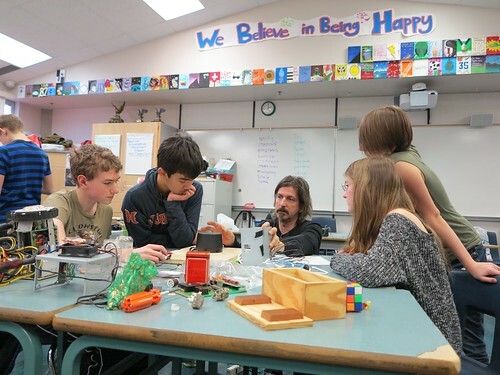 Below, Paul lays the case for using design thinking in school. In doing so, he offers a glimpse into the how and why. How can you bring design thinking into your daily life and why it’s so critical. When educators discuss differentiation, they are usually referring to how a lesson might be designed to meet the diverse learning needs of students within a classroom. But exponential change and acceleration over the past decade may reflect the need for a new focus in the discussion of differentiation in schools. Given the shifting capacities of both artificial intelligence and human intelligence, perhaps educators should be discussing differentiation in the context of teaching students how to act less like the “machines” – the software and algorithms – that have become so ubiquitous in modern life. Events like the 2016 defeat of Go grandmaster Lee Sedol by Google’s computer program AlphaGo and the ongoing evolution of Amazon’s Alexa as well as Apple’s Siri suggest that the work of educators should be recalibrated to help students grow the characteristics that distinguish them most from machines. Making our classrooms into spaces where students are encouraged to be curious, empathetic, discerning, and creative would do this. During the first 20 years of my career, I assigned an essay on 1st day of school and I did the things that most teachers do with homework, projects, and tests while emphasizing critical thinking skills. I honestly think that I can say that important things were being learned in my classroom but at the same time I knew that I could create an even better learning experience for my students. So five years ago, I decided to use design thinking to overhaul my world history curriculum and transform it into a course called Global Perspectives in the 21st Century. As a part of this process, I taught my students how to use design thinking as a tool in their studies. My hope was to create more open-ended, personalized lessons to help students develop adaptable minds and a sense of agency – to help students think about big ideas. We live in an amazing world at an amazing time. The past decade in particular has been unique in its exponential impact as witnessed by the rise of the iPhone, Facebook, and IBM’s Watson (for more on the impact of 2007 click here). Design thinking itself has had a role in this, as most Silicon Valley technology firms use the process to innovate in their work. 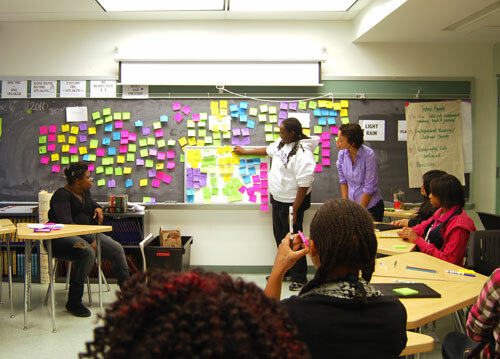 Given the demonstrated value of design thinking in improving the learning capacities of technology, it is no surprise that design thinking is also being used to strengthen schools across the country. I hope that my own story as a teacher who has found design thinking to be a positive, disruptive force multiplier in the classroom contributes to the spread of a design thinking ethos in our education system. Categories: Design Thinking, Guest Blog | Permalink.